Dr Cliff Arnall, a psychologist from the UK, explains why the third Monday in January is the most depressing day of the year. By way of a complex algorithm, which took various factors, such as financial debt, failed New Year’s resolutions and low motivational levels into account, Dr Cliff Arnall, a psychologist from the UK, was able to pinpoint the 3rd Monday in January as the ‘bluest’ day on the calendar. While sceptics have questioned its validity, it’s no surprise that the month of January plays host to the most depressing day of the year given the avalanche of bills that come crushing down after Christmas. Aside from having to deal with credit card debt, experts say that once the fun and festivities of the holidays are over and the lights and decorations are taken down, our mood comes down too. Shouqat Mugjenker, Mental Health Portfolio Manager for Pharma Dynamics – a health firm specialising in antidepressants – says the holidays tend to give us a temporary high, with laughter, lights and music everywhere we go, but once the buzz wears off we are faced with the realities (and monotony) of life again. “By the time it hits Monday, the 21st of January, you’re not only cash-strapped, but you may have had to come to terms with failed New Year’s resolutions, such as a diet or detox that went pear-shaped, joining the gym without having stepped foot in it since signing up (and probably never will), attempting to quit smoking, while beating yourself up over all the money you wasted over Christmas. This, combined with no extended breaks from school or work for another 11 long months, makes this time of year especially glum. Mugjenker points out that there are many factors that contribute to the onset of depression, including substance abuse, hormonal changes, genetic characteristics, certain medications, illness, grief and stress, but that early detection and learning how to deal with depression are key. Identify why you’re feeling so low by completing the ‘Wheel of Life’ – an exercise often used by life coaches to help people pinpoint their unhappiness. Draw a wheel with eight spokes with each representing the following areas of your life: health, money, social life, relationship with significant other, work/career, friends/family, home environment, personal and spiritual growth. Give yourself a score out of 10 and hone in on the areas that you attributed a low score to. If your job is making you unhappy, maybe it’s time for a change? Set yourself realistic expectations – even if it means scrapping your original list of New Year’s resolutions. Don’t procrastinate! The more you put things off, the more miserable you’ll feel. Identify activities that reduce stress in your life and make more room for them this year, such reading a good book, listening to music, spending time outdoors etc. Try and incorporate regular exercise as physical activity can release endorphins which reduces stress levels and make you feel happy. Weeks of overindulgence can also leave you tired, so be sure to follow a nutritionally balanced diet to help boost your mood. To deal with financial debt, make sure you make decisions that won’t worsen the situation. If you’re in a real pickle, consult a debt counsellor for advice. Stay positive by expressing gratitude for what you have and acknowledging the good things in your life. Being grateful is key to contentment. Don’t put a time-limit on happiness. We often hear people say they’ll be happy when it’s holidays again or when they have more money but doing so means wishing away valuable time. Rather embrace January and each month thereafter by filling your hours with things that add value to your life. Plan fun, yet affordable activities throughout the year so there’s something to look forward to all-year-round. “Instead of feeling well and truly miserable this month, rather use the opportunity to help set the tone for the rest of the year by practicing positive mental health habits,” encourages Mugjenker. 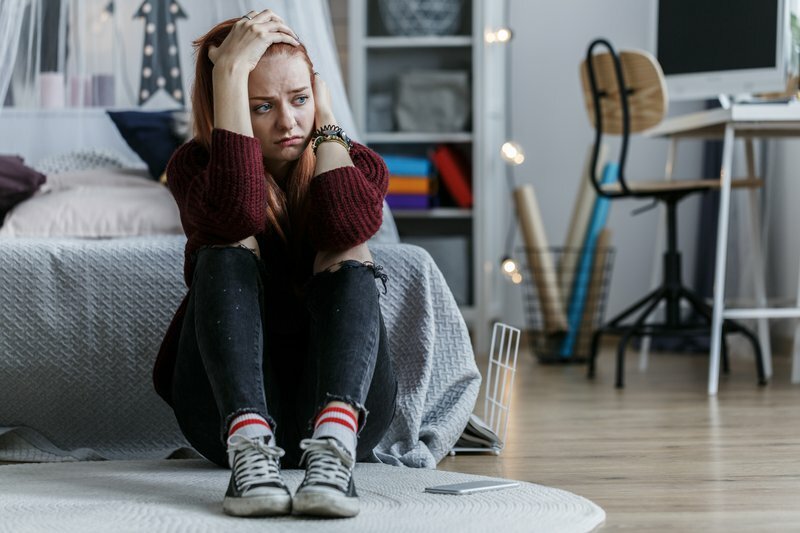 However, if feelings of sadness and emptiness continue to overwhelm you, a friend or a loved one, coupled with changes in mood, appetite, weight, lower than normal energy levels, unexplained aches and pains or thoughts of self-harm, you may be at risk of depression, which requires the intervention of a healthcare professional. For expert advice on how to identify and cope with mental illness, visit www.letstalkmh.co.za or contact Pharma Dynamics’ toll-free helpline on 0800 205 026, which is manned by trained counsellors who are on call from 8am to 8pm, seven days a week. Press release issued by Meropa Communications on behalf of Pharma Dynamics.